RENOVA is a dedicated house renovation company specialising in bespoke house renovations and the deep retrofit of existing homes. A deep retrofit is a complete overhaul of the fabric of your home that reduces energy use, increases warmth and comfort, and improves your Building Energy Rating (BER). 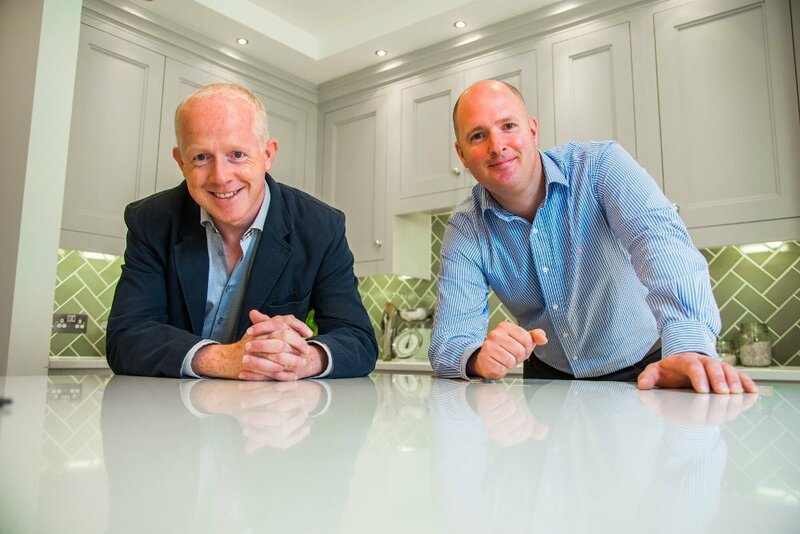 RENOVA was founded in 2011 by chartered quantity surveyors, John Martin and Alan Stevens, to provide the Irish homeowner with an alternative approach to home renovations. John and Alan wanted to establish a bespoke house renovations service, where each renovation would be tailored to the client’s individual needs. They created the exclusive ‘360° renovation’ package, which is the only service in Ireland that includes design, deep retrofit, renovation, fittings and finishes in one package. John and Alan wanted to provide a unique customer experience where all finishes could be selected under one roof, so they set up the RENOVA showroom. John and Alan grew their team by hand-picking qualified construction experts, experienced design professionals and skilled tradespeople. Together with their team, they’ve built RENOVA’s unrivalled reputation for meticulous attention-to-detail, quality workmanship and impeccable standards. The RENOVA approach is customer-orientated, transparent and stress-free. The project specifications, budget and timeline are always agreed upon at the outset. At RENOVA, the important things are done right: accurate cost management; good communication; honest advice; and a job well done. Get in touch to discuss your house renovation. Having agreed a layout we proceed to work up the elevations and sections. Our engineer and other members of the team add their input at this stage too. We prepare mood boards and 3D drawings for your consideration and agree a final overall scheme design and cost. Note that a charge will apply for STAGE 3. Before detailed design commences, secure the budget and project scope by signing contracts prepared by RENOVA. Secure your site manager at this time and meet the design and construction team. Enjoy the peace of mind of knowing that the price and specification have been agreed and relax knowing that the project will stay within the budget. Enjoy working with our team to select the finishes and fittings for your new home, while technicians prepare your construction drawings. Remain stress-free knowing that all design choices are budget-led and overseen by our Quantity Surveyor. Only when the drawings and specification are fully completed are we ready to begin work on site. Sit back and allow your our Construction Team to take control. Enjoy seeing the site manager, accompanied by RENOVA’s trusted team of tradesmen, begin works on the site. Watch your renovated home come together quickly and efficiently with the minimum of fuss. Receive regular progress reports and attend for site visits as you wish. At RENOVA, we have put together a team of tradesmen and professionals dedicated to providing the best Deep Retrofit renovation service in Ireland from design, through implementation to final hand-over. All the trades people we work with are well known to us and are the best we know in their respective fields; they are all meticulous, tidy and courteous. The measure of the tradespeople we use is whether we’d have them work in our own homes. In most cases our tradesmen have actually worked in our own homes and at our showroom! We are a team of highly-qualified and experienced project managers, designers, quantity surveyors and tradespeople, each committed to the exceptionally high quality of workmanship and customer care required to create the best possible living environment in your home. John is company director and a chartered quantity surveyor with more than 20 years of experience in residential construction and project management. John will be you initial point of contact and is responsible for pricing, contracts and forward planning of your renovation project. Alan is company director and a chartered quantity surveyor. He has specialised in the management of interior fit-outs for over 20 years and has a great eye for detail. 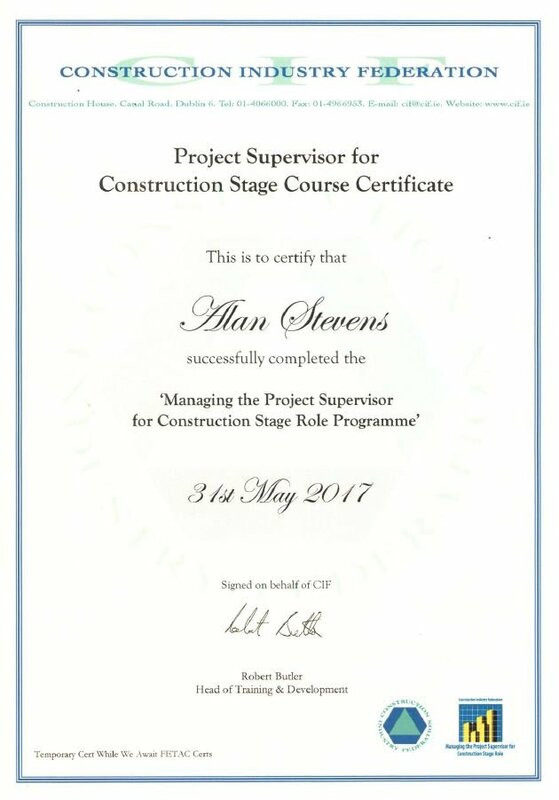 Alan’s role is to manage our construction department thus ensuring the smooth running of projects from contract signing through to handover. Siân holds a degree in architecture from Greenwich School of Architecture in London. She runs our design office and her ability to comprehend a client’s brief allows her to deliver practical, elegant solutions to clients needs. Siân has an enthusiasm for every project which is evident throughout the process. A qualified carpenter, Paul ran his own construction company for more than 10 years before making the decision to move into construction management, In addition to his practical experience Paul has the perfect temperament for the job. Clients find Paul to be amiable and knowledgeable in equal measure. Yvonne is a vital member of the RENOVA team. She makes sure that the centre of our operation, the office, runs like clockwork. Yvonne ensures that everything is kept in order, that our bills are paid and that office administration and paperwork is managed efficiently. Gerard is a highly-skilled carpenter and an experienced foreman. He brings a wealth of valuable industry knowledge to every site he manages. Gerard is a talented and consistent worker, known for being-well organised, clean, tidy, and very easy to communicate with. Kevin‘s exceptional skill and attention-to-detail lends itself to RENOVA’s reputation for quality and excellence. As RENOVA‘s first employee, Kevin has been here since day 1. He’s an accomplished carpenter, a reliable worker and always keeps a clean and tidy site. 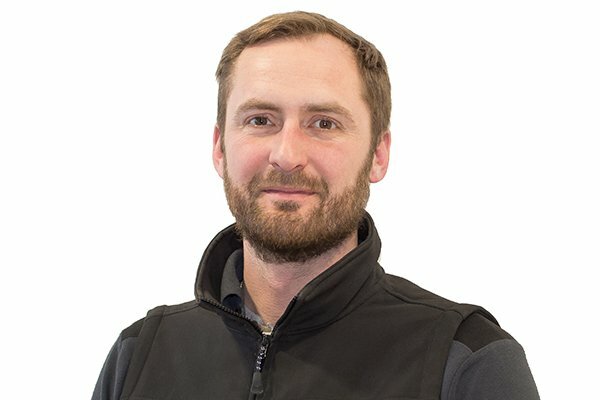 Lorcán has a wealth of experience, both as a carpenter and a site manager. Having spent several years working in the film industry in set construction, Lorcán brings a unique skill-set and perspective to every project. He is solid and dependable, and has a very reassuring manner. Joe has been living and breathing building sites for all of his working life. With 20 years of experience as a foreman, Joe brings an abundance of industry knowledge and skill to RENOVA. Joe is dependable and, like the rest of the team, very easy to get along with. Brendan, like the rest of the team, is an experienced operator. He is a qualified carpenter and knowledgeable site manager. He joined RENOVA in 2017. Brendan has worked in residential construction for his whole career and has seen it all. Your home renovation will be in good hands with Brendan. Barry joined RENOVA in 2017. A qualified carpenter with 15 years experience, Barry has been renovating homes for the last 10 years, and has seen it all. Like the rest of the team, Barry cares about his work and his workmanship and management is of the very highest standard. Dylan joined RENOVA in 2018. He is a qualified carpenter with 10 years experience. Like Lorcán, Dylan spent several years working in set construction in the film industry. He also has many years experience of the residential construction industry, so he is the perfect fit for RENOVA. He is a neat and tidy worker, just like the rest of the team. Richard is a master carpenter and joiner, He developed his skills over many years in the United States specialising in high end residential work, before switching to commercial fit out work across Europe. Working from his own joinery workshop Richard now carries out RENOVA’s specialist carpentry and joinery. Wayne is a skilled operative and one of the original members of the RENOVA team. He has an exceptional work ethic and always sees that his tasks are completed correctly and tidily. Wayne is known as Mr. Clean & Tidy here at RENOVA and drives the cleanest van in the fleet! If we need a job done clean and tidy, Wayne is our go to guy. Brian started working in the construction industry at a young age and, as a result his knowledge and experience are second-to-none. 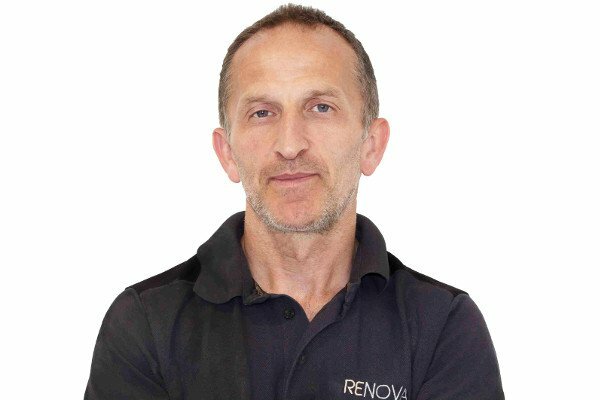 Having spent a decade working in New York as a kitchen maker and installer, he brings extensive experience in domestic renovations to RENOVA. Robert has been working in construction all his life. He became available in late 2015 and was immediately offered a position on the RENOVA team. Robert is reliable, trustworthy and brings a range of highly sought after skills to the team. Fiachra is a multi-talented all rounder, He’s the kind of person who can turn his hand to most trades and do the job as well, and better than many qualified tradesmen. He developed his skills over many years, working in France and Germany. Another recent addition to the growing RENOVA team, Englishman Richard joined the company in 2018. Just like the rest of the team Richard has many years experience in residential renovation projects and is neat and tidy in everything he does. Robert recently returned from Australia and began working with RENOVA. Robert has a broad range of experience and is one of those guys who can turn his hand to many things. He immediately understood the RENOVA way and so has fitted into the team perfectly. Like Wayne, Robert is neat and tidy in everything he does. John joined the team in 2016. He studied Construction Management so has a good all round knowledge of the construction process. John is learning the business from the ground up. His role at present is general construction works and maintaining a tidy and well-organised site. 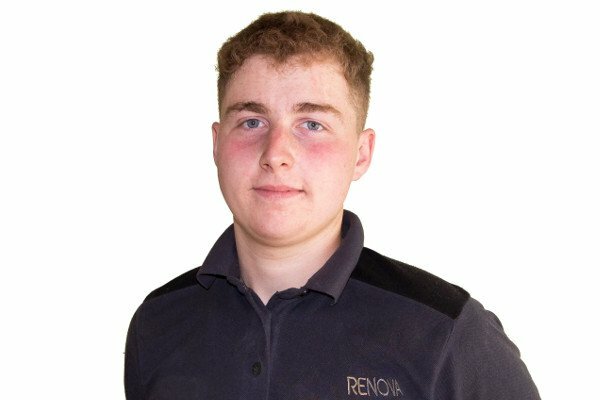 Adam is RENOVA’s very first apprentice. He joined us in 2018 and was already an accomplished construction worker. He works under the guidance of our experienced qualified carpenters and is learning quickly. We like to think that Adam is the first of many apprentices that will learn their trade at RENOVA. Conor has been a good friend of company directors John and Alan for many years. 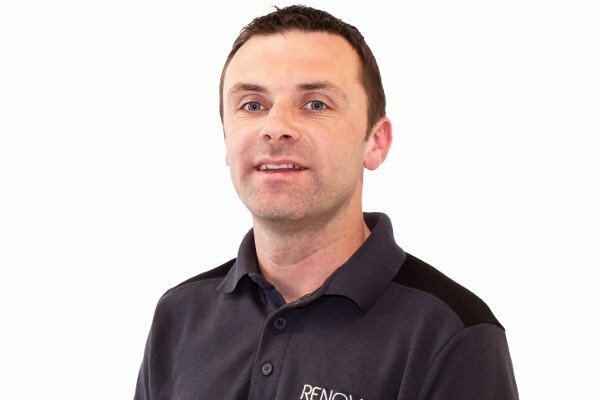 He‘s a chartered structural engineer and his role involves designing and signing off on all of RENOVA’s structural works. Conor is a registered member of the Institute of Engineers Ireland.